Edwards view on Justification through Gerstner’s eyes. This was the Arminian import from England that was becoming fashionable in the colonies, much to the distress of the solafideian pastor of Northampton. He had already warned Boston about it in 1731: “Those doctrines and schemes of divinity that are in any respect opposite to such an absolute and universal dependence on God, derogate from his glory, and thwart the design of our redemption.” In 1734 he felt constrained to bring the matter home to his own people in Northampton with his lectures on justification by faith alone. It don’t in strictness consist at all in pardon of sin but in an act or sentence approving of him as innocent and positively righteous and so having a right to freedom from punishment and to the reward of positive righteousness. Pardon as the word is used in other cases signifies a forgiving one freely though he is not innocent or has no right to be looked on as such. There is nothing of his own he has to offer that is equivalent to innocence but he justly stands guilty but notwithstanding his guilt he is freed from punishment. But the pardon we have by Christ is a freeing persons from the punishment of sin as an act of justice and because they are looked upon and accepted as having that which is equivalent to innocence viz. satisfaction. ’Tis called pardon because tho in itself it be an act of justice and strictly speaking the person pardoned has no sin or guilt to be pardoned yet considered with these preceding free and sovereign acts of God that are its foundation viz. the free gift of Christ and the free establishment of the covenant of grace the free giving us repentance and faith in Christ for remission, I say considered with these things ’tis a most free and wonderfully gracious act and may well be called pardon. What is done for a sinner on his repentance respecting sin consists in two things viz. in accepting him as innocent or as having that which is equivalent to innocence and in establishing a freedom from punishment consequent upon it. But in strictness that in his justification which respects sin consists only in the former viz. in accepting him as innocent or positively just. And pardon most properly consists in the latter viz. freeing him from punishment which is consequent on satisfaction or acquired innocence for it depends on it as its foundation. Justification consists in imputing righteousness. To pardon sin is to cease to be angry for sin. But imputing righteousness and ceasing to be angry are two things. One is the foundation of the other. God ceases to be angry with the sinner for his sin because righteousness is imputed to him. Mere pardon can in no propriety be called justification. If one that is called before a judge and is tried whether he be guilty of such a crime and whether he be bound to the punishment of it be acquitted in judgment as being found innocent and so under no obligation to punishment then he may properly be said to be justified. But if he be found guilty and is condemned but afterward as a justly condemned malefactor is freely pardoned whoever calls that justifying of him. Hence we may see how that persons cannot be justified without a righteousness consistent with God’s truth for it would be a false sentence. It would be to give sentence concerning a person that he is approvable as just that is not just and cannot be approved as such in a true judgment. To suppose a sinner pardoned without a righteousness implies no contradiction but to justify without a righteousness is self-contradictory. Though the definition of justification is more comprehensive, the actual doctrine of the sermons on Romans 4:5 is that “We are justified only by faith in Christ, and not by any manner of goodness of our own.” This is, of course, the tenor of the text used: “Now to him that worketh not, but believeth on him that justifieth the ungodly, his faith is counted for righteousness.” The contrast in Edwards’ statement is between “faith in Christ” and “goodness of our own.” As Edwards develops the concept, however, the contrast is not between our faith and our goodness but between Christ’s goodness and our non-goodness. Referring to our faith is a shorthand way of referring to Christ’s righteousness, which is crucial. The “merit” is Christ’s. In a later sermon on Romans 4:16, Edwards seems to reduce justification to righteousness, but a “twofold righteousness”: one imputed to the sinner and the other his being viewed accordingly. This twofold righteousness consists of freedom from guilt, which the First Adam enjoyed — and actual fulfillment of a law — which only the Second Adam achieved. This righteousness may be performed by the person himself as the First Adam was supposed to do and the elect angels did do. Or it could be by a substitute. According to Edwards there is no way of justification for a person except by righteousness. Justification has to be on the basis of works — the works of Christ. First, Christ was not only delivered up for our justification (Rom. 4:25), but for his own also. He had to do two things for his own justification: one, fulfill the moral law, as the first Adam had failed to do, and therefore be rewarded with eternal life for himself and the elect whom he represented. Second, he, unlike the first Adam, had sins to atone for. While these were not his personally — sins that he was guilty of committing — they were his representatively. That is, they were the sins of the elect he voluntarily took upon himself. In that sense they were on him, and he had to satisfy their guilt before he could receive his own justification. So Christ, our second surety, (in whose justification all whose surety he is, are virtually justified,) was not justified till he had done the work the Father had appointed him, and kept the Father’s commandments through all trials; and then in his resurrection he was justified. When he had been put to death in the flesh, but quickened by the spirit, 1 Pet. 3:18 then he that was manifest in the flesh was justified in the spirit, 1 Tim. 3:16. While God the beholds man as separate from Christ, he must behold him as he is in himself; and so his goodness cannot be beheld by God, but as taken with his guilt and hatefulness, and as put in the scales with it; and so his goodness is nothing; because there is a finite on the balance against an infinite whose proportion to it is nothing. . . . Though a respect to the natural suitableness between such a qualification, and such a state, does go before justification, yet the acceptance even of faith as any goodness or loveliness of the believer, follows justification. . . . But to suppose that God gives a man an interest in Christ in reward for his righteousness or virtue, is inconsistent with his still remaining under condemnation till he has an interest in Christ. . . . Since the faith that justifies is a true faith and is seen as such by God when he justifies the believer, Edwards stresses the importance of faith’s being a working faith. “They that do truly come to Christ they at the same time take Christ’s yoke upon them.” In the application he urges his people not to trust in their supposed comings to Christ which may be nothing more than a “flush of affection.” Rather, let them examine themselves to see whether they have counted the cost, whether they are laboring under the yoke of Christ. Any other type of faith is vain, he insists. As we shall see, Edwards’ opposed the Arminians at just this point. But from the outset we must be clear that his quarrel with the Arminians is not that they teach justification by works; he teaches the same. His quarrel with them is that they teach justification by the works of sinful men, rather than by Christ alone. It is not that they magnify works too much, but that they do not understand that the so-called works of men are in no sense adequate and that Christ’s alone are sufficient. Thus they give a man glory that he does not possess, while at the same time derogating from the perfect glory of Jesus Christ. In the teaching of Edwards, in Christ the elect are justified because of the “natural fitness” of those united to him possessing what he achieved for them. When it is said, that we are not justified by any righteousness or goodness of our own, what is meant is, that it is not out of respect to the excellency or goodness of any qualifications or acts in us whatsoever, that God judges it meet that this benefit of Christ should be ours; and it is not, in any wise, on account of any excellency or value that there is in faith, that it appears in the sight of God a meet thing, that he who believes should have this benefit of Christ assigned to him, but purely from the relation faith has to the person in which this benefit is to be had, or as it unites to that mediator, in and by whom we are justified. Edwards uses an analogy to explain the way in which the natural and moral righteousness of Christ are communicated to the believer. As when a man offers himself to a woman in marriage, he does not give himself to her as a reward of her receiving him in marriage. Her receiving him is not considered as a worthy deed in her for which he rewards her by giving himself to her; but by her receiving him the union is made, by which she hath him for her husband. It is on her part the unition itself. Edwards’ point is that the woman, by virtue of her natural union with the husband as one flesh, becomes also the possessor of all that belongs to the man: his position, wealth, and the like. So with the believer: by his natural union with Christ by the Spirit he becomes the possessor of all the righteousness of Christ also. This is his justification by faith or union with Christ. It is clear that it is immediate, perfect, and inalienable so long as the union holds (which, according to Edwards would be forever). But that raises the question, Suppose the union were dissolved, what would happen? If the natural union ceased, would not the moral union also cease to exist? That is to say, if the believer ceased to believe, would he not cease to be justified? And if he ceased to be justified, how can it be said that he is justified now? Would it not be better to say that he will be justified if he continues as he now is? Of all these questions Edwards was conscious, and to them he applied himself. He answers all of them by calling attention to the nature of justifying faith. God, in the act of justification, which is passed on a sinner’s first believing, has respect to perseverance, as being virtually contained in that first act of faith; and it is looked upon, and taken by him that justifies, as being as it were a property in that faith. God has respect to the believer’s continuance in faith, and he is justified by that, as though it already were, because by divine establishment it shall follow; and it being by divine constitution connected with that first faith, as much as if it were a property in it, it is then considered as such, and so justification is not suspended; but were it not for this, it would be needful that it should be suspended, till the sinner had actually persevered in faith. A few paragraphs later he states the same position thus: “God, in that [first] justification, has respect not only to the past act of faith, but to his own promise of future acts, and to the fitness of a qualification beheld as yet only in his own promise.” At the same time, we experience this forgiveness as the sins are committed, though the forgiveness is actually given in the first act of justification. This is the way Edwards explains the subsequent pardoning of justified persons after they have already been completely forgiven. It is subsequent in their experience, not in actual fact. And they claim the forgiveness according to the covenant of grace while fully ashamed of themselves for their sins. That faith is the means is clearest of all in the later M 831, and M 1250. M 1354, nearly the last, is dedicated to this same theme. Joseph Tracy, in The Great Awakening, makes the simplicity of this very doctrine the secret of Edwards’ success as a revivalist. Edwards showed, he said, that “God has not appointed any thing for men to do before coming to Christ by faith. . . .” Tracy is not unaware of Edwards’ doctrine of seeking, but he is observing that faith was all that was necessary — anything else was merely in order to receive faith. Edwards opened the door to Christ and he opened it wide. The people came in. Faith, for Edwards, begins in the understanding. It is a rational act, in the first instance. We have already observed, in our discussion of the relation of doctrine and illumination, that truth must be present before it can be illumined. The same fact is seen in the matter of faith. There must be that which is to be believed, before it can be believed. There must be an object of faith before there can be an exercise of it. Edwards, in a sermon on Hab. 2:4, indicates that the nature of faith is acquiescence of the soul in the divine sufficiency. It is apparent that there must be some notion of what this divine sufficiency is before the soul can acquiesce in it. In the same sermon faith is said to be “that by which the soul is united to Christ.” The soul cannot be united to Christ consciously without knowing something about him. Likewise, when Edwards, preaching on Hos. 1:11, says that “they that do truly believe in Christ do therein by their own act appoint Christ to be their head,” he implies an understanding of Christ whom they appoint as their head. It is apparent from what has already been said, that Edwards is not at all satisfied to let the definition of faith rest with the delineation of its rational element. While he is quite insistent that faith must begin in the understanding and cannot exist without knowledge, he is far more concerned to stress other features of faith. He has already defined faith in terms of acquiescence. This is an assent of the soul to what it understands. This assent is more significant than knowledge, for many may have true knowledge who do not have this necessary acquiescence. In his discussion of faith, in the sermon on Hos. 1:11, he goes into the matter thoroughly, showing that unbelievers do not really want to believe in Christ. Therein they are distinguished from true believers, who gladly acquiesce in their knowledge of Christ. Unbelievers may have the knowledge, but never the acquiescence. It may help us to understand Edwards’ doctrine of faith if we consider his discussion of false, or superficial, faith. In his exposition of Mat. 13:5, in the series of sermons on the parable of the sower, he observes that belief involves three acts, each one of which may be spurious in some persons. Thus there is an intellectual, an emotional, and a volitional element. But these may come about in some persons because of their training or education and not because of a truly personal assent at all. There are those who seem to believe in the truth, but it is because of the authority of some minister. They feel compelled to believe what he says because it is he who says it. This is not genuine faith in God at all. The person may profess to believe in God, but it turns out to be faith in the servant of God. Or the person may be charmed by the manner of speaking and be approving that rather than assenting to the truth that is spoken. Some individuals are stirred by the story of Christ, but in the same way that they would be moved by a romantic fiction. In such cases there is no true faith because the persons involved have no “relish” for Christ’s “sweetness,” nor any true love for him, nor any sense of sin. Rather, their pride is stirred — pride in their own supposed affections; and they do not deny and yield themselves to God, but continue to deny him and his decrees. The fullest discussion of the relation of faith to justification is found in his lectures on Rom. 4:5. 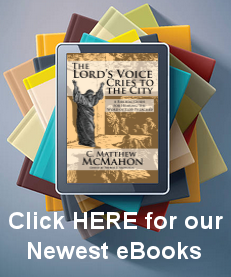 We may understand his conception by noticing the two views to which he takes exception, which views are far more common than his own: namely, the usual so-called Calvinistic theory and the common Arminian view. With the former he has only a mild disagreement, probably only with the language that it uses; with the latter he has a far more fundamental difference which was the occasion of his delivering these controversial lectures. But yet it must be owned, this is an obscure way of speaking, and there must certainly be some impropriety in calling it an instrument wherewith we receive or accept justification; for the very persons who thus explain the matter, speak of faith as being the reception or acceptance itself; and if so, how can it be the instrument of reception or acceptance? Justification is an act of God’s free grace, wherein he pardoneth all our sins, and accepteth us as righteous in his sight, only for the righteousness of Christ [which we have by virtue of our union with him] imputed to us, and received by faith alone. If it be that, with which, or which being supposed, a thing shall be, and without which, or it being denied, a thing shall not be, we in such a case call it a condition of that thing. But in this sense faith is not the only condition of salvation or justification; for there are many things that accompany and flow from faith, with which justification shall be, and without which it will not be, and therefore are found to be put in Scripture in conditional propositions with justification and salvation, in multitudes of places; such are love to God, and love to our brethren. . . .
Granted that Edwards was correct in his analysis of the biblical doctrine of justification, what proof does he offer that it was true? For Edwards, such a question was impertinent. The Bible is the Word of God. What it teaches, God teaches. Against the deists, Edwards argued that each proposition of revelation did not have to be separately demonstrated any more than each proposition of sense or history had to be separately proven. In the sermon on Romans 4:20 Edwards discusses Abraham’s faith as he had elucidated the faith of saints in general in his exposition of Habakkuk 2:4. The theme of this very early sermon is “That saints do live by faith.” The young preacher defined faith as the soul’s acquiescing in the divine sufficiency, specifically the sufficiency of Jesus Christ. He then takes up the question how spiritual life comes by faith. Faith, he says, entitles to life. If anyone feared the shadow of Catholicism there, Edwards hastens to explain that faith is “that by which the soul is united to Christ.” Christ alone entitles to life. The inspired Word of God everywhere teaches this essential doctrine. M 725 had many references to the doctrine, even in the Old Testament, even in statements that were cited in evidence against the doctrine. His more famous lectures on Romans 4:5 abound in biblical references for this indispensable doctrine, dealing pointedly with the Roman Catholic claims to the contrary. Thomas A. Schafer observed that Jonathan Edwards said much less about this doctrine after his preaching in 1734. He shifted his focus from this fruit of Arminianism to its root in the libertarian, voluntaristic view of the will. As Edwards concludes in his Freedom of the Will, all Reformed doctrines were subverted by the Arminian view of freedom. The third part is entitled: “Wherein Is Inquired, Whether Any Such Liberty of Will as Arminians Hold, Be Necessary to Moral Agency, Virtue and Vice, Praise, and Dispraise, etc.” In it he proved not only that Arminianism was not necessary to virtue but that it doomed the biblical way of virtue and salvation. As in “Justification by Faith” he saw the Arminian way of salvation with its stress on human righteousness as the end of human and divine virtue. There can be no doubt that this doctrine was as essential for Edwards as for Paul and the Reformers. The contrary doctrine, he insists, citing Romans 9 and 10, is “fatal” and “another gospel,” according to Galatians 1:6. It is the substitution of man’s virtue for Christ’s, a legal system for the gospel, the covenant of works for the covenant of grace. Some that oppose this doctrine indeed say, that the apostle sometimes means that it is by faith, i.e. a hearty embracing the gospel in its first act only, or without any preceding holy life, that persons are admitted into a justified state; but, say they, it is by a persevering obedience that they are continued in a justified state, and it is by this that they are finally justified. . . . Such a conditional pardon is no pardon or justification at all, any more than all mankind have, whether they embrace the gospel or no; for they all have a promise of final justification on conditions of future sincere obedience, as much as he that embraces the gospel. Coming back to this same matter nearer the end of his lectures he says: “This is the reverse of the scheme of our modern divines, who hold, that faith justifies only as an act or expression of obedience; whereas, in truth, obedience has no concern in justification, any otherwise than as an expression of faith.” And a few paragraphs later: “the rewardableness, of our virtue, is not antecedent to justification, but follows it, and is built entirely upon it. . . .” We can see what Edwards is objecting to and criticizing so sharply. The Arminians, as he understood them, these “modern divines,” were making faith into a work and then allowing justification by faith to mean justification by works. All the heart and mind of Edwards must have rebelled against this doctrine, for he believed that the best of men were sinful and could merit nothing at all, much less justification or a title to eternal life. And now the modern divines were making the crucial doctrine of evangelical Christianity only another way of preaching ancient Pharisaism and Pelagianism. It was no longer Christ who saved the sinner, but the sinner who saved himself, with the help of Christ. But this still leaves us with the question, How did Edwards himself view the relation between faith and justification? We understand what he did not accept as correct statement or correct doctrine. So we now should be better able to understand what his own doctrine was. The difference between this view of justification and the prevailing Arminian one seemed to Edwards to be very great. And there is a wide difference between its being suitable that Christ’s satisfaction and merits should be theirs that believe, because an interest in that satisfaction and merit is but a fit reward of faith — or a suitable testimony of God’s respect to the amiableness and excellency of that grace — and its being suitable that Christ’s satisfaction and merits should be theirs, because Christ and they are so united, that in the eyes of the Judge they may be looked upon and taken as one. they hold, that the old law given to Adam, which requires perfect obedience, is entirely repealed, and that instead of it we are put under a new law, which requires no more than imperfect sincere obedience, in compliance with our poor, infirm, impotent circumstances since the fall, whereby we are unable to perform that perfect obedience that was required by the first law; for they strenuously maintain, that it would be unjust in God to require any thing of us that is beyond our present power and ability to perform; and yet they hold, that Christ died to satisfy for the imperfections of our obedience, that so our imperfect obedience might be accepted instead of a perfect. . . . but if they are sins, and so the breach of some law, what law is it? They cannot be a breach of their new law, for that requires no other than imperfect obedience, or obedience with imperfections. . . .
Edwards, therefore, was dissatisfied with the Arminian view of justification on three counts. First, it taught justification by works, regarding faith as an incipient work and therefore the basis for justification. But on the other hand, second, while outraging the doctrine of justification by faith in this manner the Arminians then went on to make any true work unnecessary by saying that God had given a new law modified to meet our ability. So that works first supplant faith and then they themselves, on this new view of the law, become unnecessary. But, thirdly, in spite of that fact, Arminians still hold that Christ makes satisfaction when satisfaction should no longer be necessary since there is no sin to be satisfied. Jonathan Edwards made many contributions to the historic doctrine of justification by faith alone. He continued it as the central doctrine of Christianity and American Protestantism, affirming it in “God Glorified in Man’s Dependence” (1731), proving it in “Justification by Faith” (1734), establishing its metaphysical foundation in Freedom of the Will (1754), and expounding it in numerous published and unpublished sermons. He connected it inseparably with the covenant of grace, showing that covenant theology so far from being “incipient Arminianism” was the antithesis of it. In fact, he demonstrated that Arminianism was founded on a covenant of works mentality, and was essentially a denial of the gospel and purely gracious salvation. In line with Calvin and Puritanism he saw Christ as the ground of justification and, going beyond his own tradition he developed “fitness,” or natural congruity, as the corollary of union with Christ, sharply contrasting it with any “moral fitness” in faith or obedience. More sharply than any, he saw the sense in which justification by faith alone rested ultimately on justification by works — the works of Christ. He showed that faith justified works rather than works justifying faith. “Rewards” were explained thoroughly in solafideian terms, while he annihilated any concept of merit anywhere except in Jesus Christ. The following discourse of justification, that was preached (though not so fully as it is here printed) at two public lectures, seemed to be remarkably blessed, not only to establish the judgments of many in this truth, but to engage their hearts in a more earnest pursuit of justification, in that way that had been explained and defended; and at that time, while I was greatly reproached for defending this doctrine in the pulpit, and just upon my suffering a very open abuse for it, God’s work wonderfully brake forth amongst us, and souls began to flock to Christ, as the Savior in whose righteousness alone they hoped to be justified. So that this was the doctrine on which this work in its beginning was founded, as it evidently was in the whole progress of it.